We want you to tell us if we disappoint, so that we can fix it - immediately. 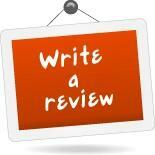 As a valued customer of ours, we also encourage you to give us your feedback! OR on our Facebook Page or Twitter. 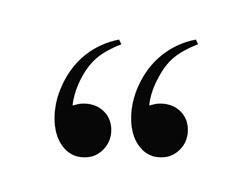 We strive for Excellence so do value your input. 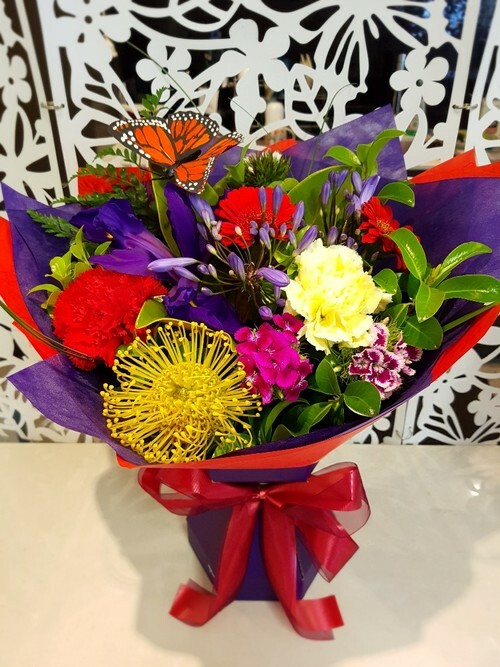 Truly amazing service – ordered online and received email confirming order had been sent and a picture of the flowers that were sent. Awesome service and would highly recommend. Thank you so much...it's perfect!!! Very hard to be away from our daughter on her birthday, but this brings us closer!! Thanks very much for the photo - flowers look amazing. Wonderful colours. Just to thank you for the beautiful arrangement you made for us yesterday. Really appreciated the photographs as I was ordering on behalf of other family members and it's lovely to be able to show them the flowers I chose. Thanks for the lovely photo. The flowers look gorgeous. Beautiful blooms. Professional, impeccable service. Thank you for making it so easy to send flowers all the way from Hong Kong! It's smiles and tears of joy all around! Thank you for your amazing bundle of sunshine that has brought much love and brightness to a hospital room. And we are extremely appreciative of your extra service of sending us a photo of our gift & message so that all who contributed can see exactly what our beloved received. Simply amazing! Well done and thank you ever so much! Thank you so much for sending me a photo. It looks lovely! And what's more you have included tulips and a blue ribbon! Fabulous!! Thank you again. That's so lovely of you to show me the chrysanthemums that Cathy receives. Thank you. Thank you- the flowers look beautiful. They look beautiful, thank you for sending this – a great idea. Many thanks for your excellent service and very kind help. My daughter in law was delighted with the arrangement. Thank you very much. They look lovely. They are beautiful – thank you. Unfortunately I’ve had two team members who have recently lost their brothers. After seeing the photo of the first arrangement, it was an easy decision to contact you guys again. Thank you for such beautiful arrangements. Thanks so much they are absolutely stunning – beautiful. I will definitely be recommending your service to everyone, and using you again in the near future. Thank you for the pictures, the arrangement is beautiful. Love that you do this as it is very nice to see what our loved ones are actually receiving. Great service - 10/10. Thanks so much for sending the photos of the bunch of flowers I ordered. 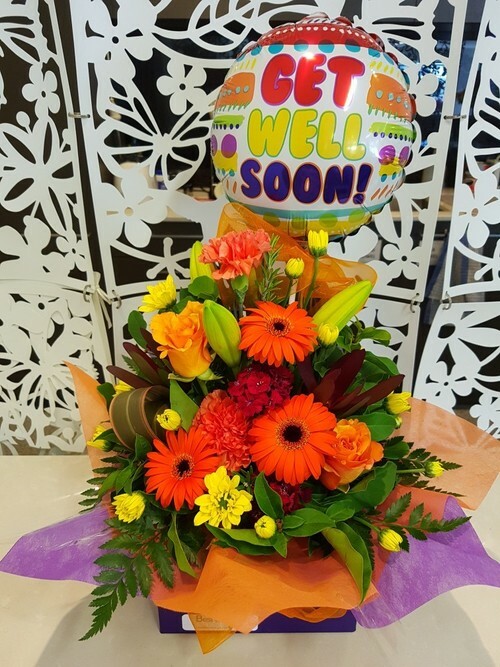 As the flowers were from a team of colleagues to a sick team member, I was able to share the photo with the rest of the team as well so they could see what we ordered. Great idea! Thanks you so much, it's beautiful. I'm sure she is going to love it. Thanks very much, they look absolutely beautiful! Thank you so much they are beautiful and I know Dianne will love them. I will share with my team here. Thank you so much once again. What a lovely thing to do, send an actual picture of the gift. Very happy thank you. Thanks so much for that, that looks awesome! Thank you so much they look amazing !!! Stunning! As always amazing service. Every time I buy a bouquet I am always impressed you surprise me every time! Thank you again Best Blooms Team! I saw the flowers at the funeral this morning – beautiful – thank you so much. Thank you so much for this thoughtful courtesy. It is a definite enjoyment to see the beauty of the actual gift. Your service is exceptional. Thank you so much for sending me the photo - everything looks wonderful! A big thank you again to Tessa & the Team for organising this for me. 5 Stars Plus Customer Service! Wow thanks Jo I’m sure she will love them. Thanks for sending photos through, just beautiful!! Melissa loved the flowers. Thank you for the ease of selecting and processing my order on line. The confirmation details were prompt and it was great to see the flowers arranged and ready for delivery. They look beautiful. Many thanks for making it all so seamless. Thank you. The flowers look lovely. They are beautiful thanks so much! Great touch by sending the photos! Thank you for the blooms which are absolutely beautiful. Mandy will love them. Again really appreciate the photo to me, hope you continue this service as it doubles the enjoyment of the gift. Stunning bouquet, just like online picture, which is not always the case. 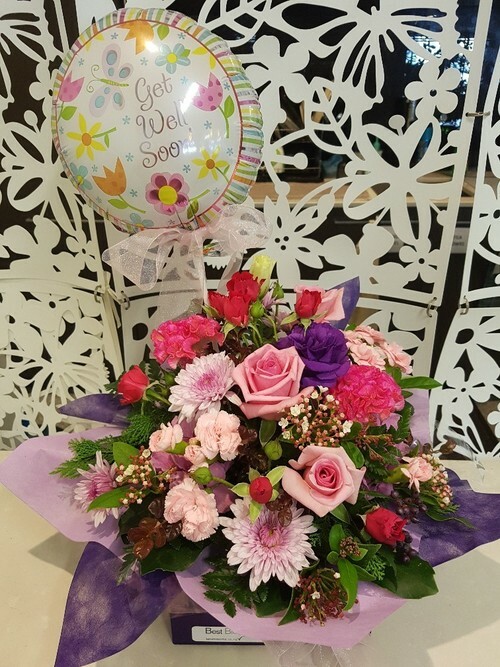 Thank you very much for ensuring the flowers arrived today and for the picture below of the flowers that were sent. It’s great to be able to visually see what the recipient is receiving. Very much appreciated. My friend's dad really loved receiving them. It’s the first time I’ve purchased from you and the service has been fantastic. All the other reviews really helped me pick who to use. I will definitely be back again in future. I will post a review as per the details below this weekend when I have a little more time. This is brilliant service thanks so much! Mum was over the moon with the flowers. Very Lovely Jo and team, thanks very much. Beautiful, thank you, she loved them. 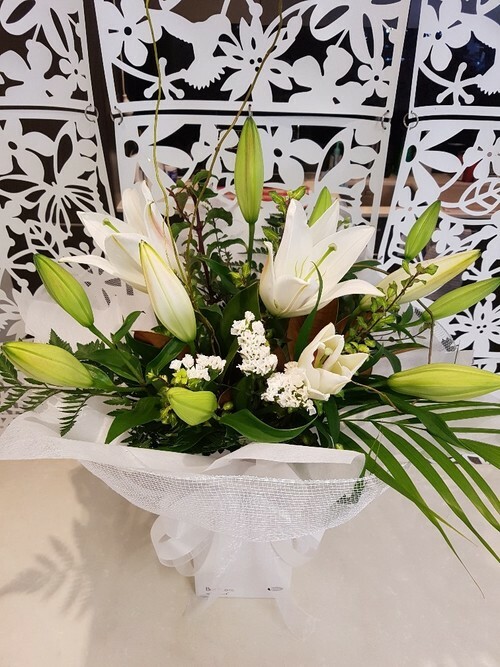 Great service as well especially in terms of sending a picture through to me of the bunch, That is the hardest thing about buying flowers for someone you’re always curious to know what they really turned out like. Oh wow, they look fabulous, thank you so much and well done. 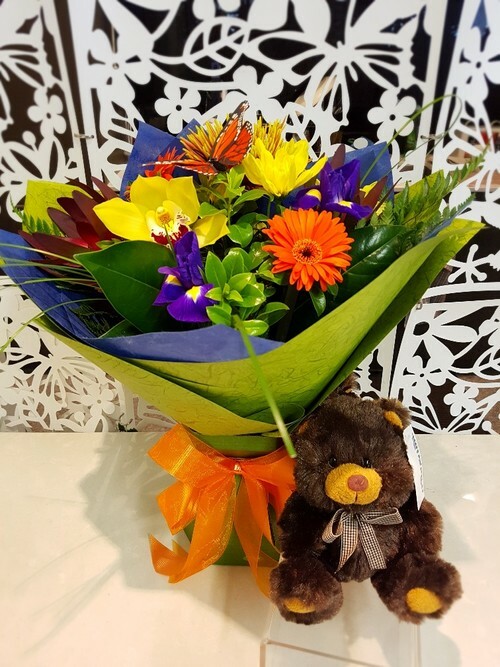 They rung me last night to thank me, and the flowers and teddy were much appreciated. Thank you for helping me to cheer them up! Wow that’s amazing! I also got a photo from our friend Hanan and her family and they absolutely loved it. 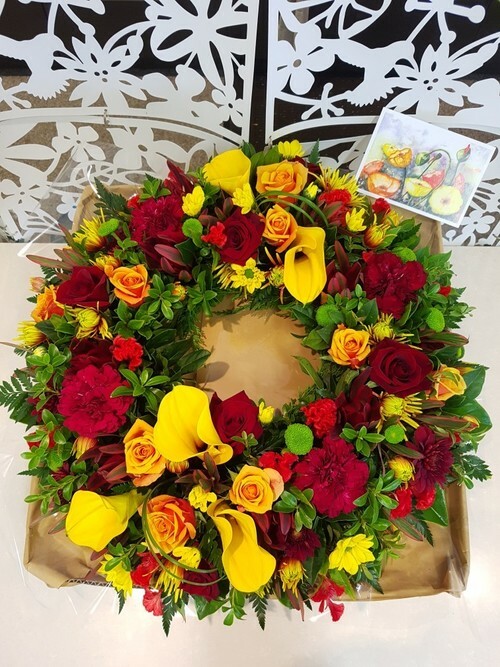 Thank you for sending this amazing flower wreath it is colourful and beautiful and our friends have told us it represented their father well. Thank you for creating this visionary masterpiece for us and delivering it urgently on our behalf. Excellent service! 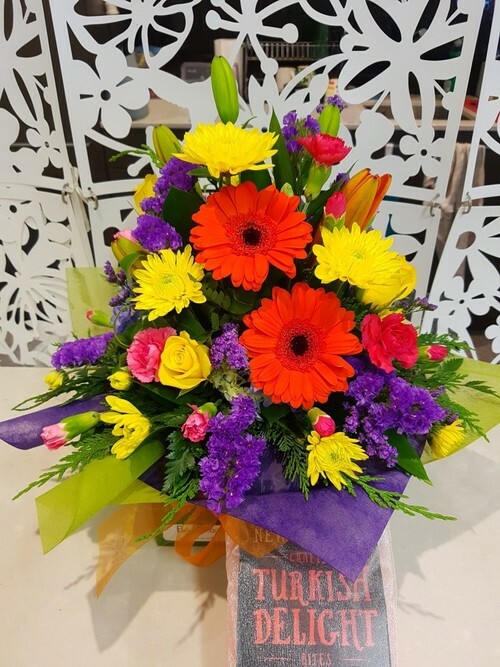 I just wanted to say thank you for the most beautiful flower arrangement you sent to my daughter Helen in Glendowie on the 25th March 2019. She was thrilled to bits with it and so were we. A good job done and another satisfied customer. Thank you very much!!! They look beautiful. Thank you so much. My niece was in tears when she received these today. I appreciate your assistance and thank you for your awesome service. Thank you very much for sending a photo through. It looks Beautiful and I know she'll like them. Wow!!!!!! Absolutely amazing thank you. My mum is over the moon with the flowers etc that were delivered to her this morning by Best Blooms. I will only ever use you from now on and will recommend you to everyone. Thankyou very much for an absolutely fantastic service. I'm very impressed! Thanks so much, lovely bouquet, will be much appreciated by RSA Club !! Thank you so much, these are perfect. Just to say thank you for your very prompt service. Julie said the flowers were truly fabulous and they do look really good from the UK. Julie also said she had not heard of you but will use you in future as we will. Great work – thank you guys! Thank you so much! 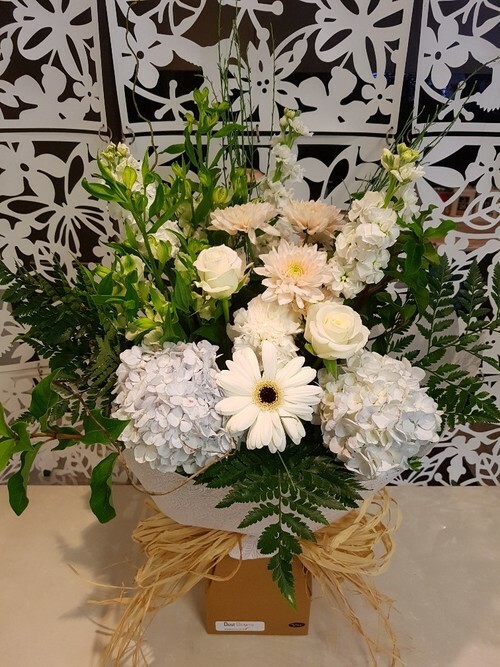 My friend was absolutely thrilled with this beautiful arrangement and it has brought a lot of joy and brightened up her room up while she’s in hospital. Really appreciate it! The flowers look amazing, thank you so much for providing this photo. The little bit of yellow just lifts the sombre white, hoping these also lift my friend’s spirits, at this sad time. Thanks again. Thank you very much for sending a photo. I’ve not ever had this level of service from a florist before and appreciate your thoughtful gesture. The flowers are beautiful! The flowers have arrived and our daughter just loves them!! Thank you so much, and loved seeing the photo of them too!! Great idea! Thank you so much. They look beautiful. Appreciate your hard work. Thank you. These are perfect. 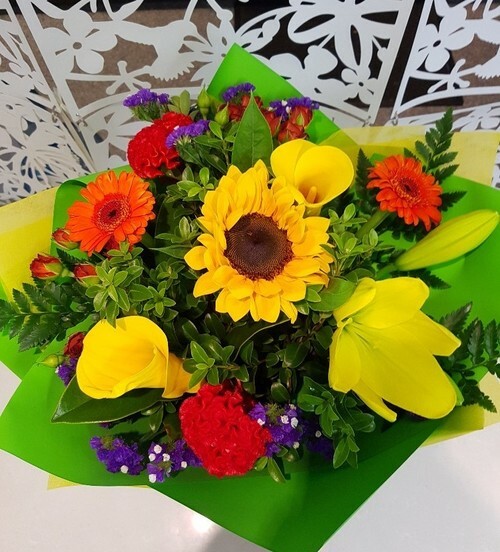 John Allen my partner usually orders the flowers from you, he would never go anywhere else, but today a work colleague is unwell and so thought how you might brighten her day. As always the most brilliant service. Thank you so much for sharing the pics!! Just heard back from the Dreyer's and they are absolutely thrilled with the choccies! Thank you so much for the photos, they looked beautiful. Thank you very much. Very pretty flower arrangement appreciated. My son and daughter in law really liked it. Highly recommended. The flowers are delightful; lovely to see what has been delivered. Thank you so much for sending these photos! They flowers are beautiful and I absolutely love the wrapping too. Amazing thank you. She loved it. Thanks for the glitter on the flowers. These are gorgeous, love getting the photo so our team can enjoy the flowers too! Thank you! Thanks for the photos. It looks nice. 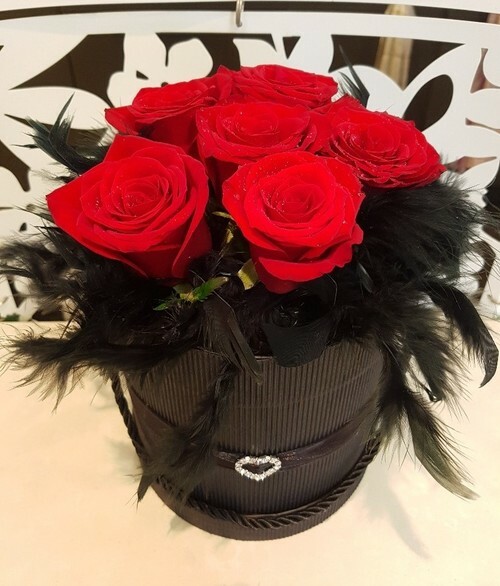 Just wanted to say many thanks for the great presentation and fast delivery – Poor Jac’s hasn’t had a great time lately as she had her mums funeral on Monday so getting the flowers and gift box today really made her day (on her birthday) – she has sent me a photo of it and also posted it to her facebook page too. Again.. many thanks for helping me put a smile on her face. Thanks so much for the pic. They look beautiful. You guys are awesome. Many thanks for the great service! We'll definitely be using Best Blooms again. The gift you have chosen to send to Debbie is beautiful. Thank you so much. Thank you so much for the beautiful presentation of the orchid for my dear friend in hospital. Thank you absolutely love these flowers. Thanks again. Thank you so much - thrilled with your choice of colour, just what I would have picked myself! Thank you for the email and the photos. Tanya just contacted me and told me they were beautiful! A wonderful compliment for your great work. Thank you for your efforts in making this special day even more memorable for Tanya! Thank you very very much for the lovely arrangement. I’m sure my bff is loving it! Thank you for the lovely flowers for Sue, she received them and loved them. Thanks again. Thanks Guys for this. The flowers look beautiful. Marie, the recipient, loved them as well. Once again thanks for your efforts. Much appreciated. They look absolutely beautiful. Thank you for putting this together. Wow! Thank you so much Best Blooms, Absolutely the most beautiful flowers I have ever seen!!!! They look beautiful!!! ❤️❤️❤️ thank you very much for your service. Thank you so very much for the gorgeous flowers. They really helped to brighten a sad occasion and were much appreciated. Amazing service! Will be recommending you to all our friends. Thanks so much for the photo, it’s always nice to know what people have received. My girlfriend who had surgery yesterday said they made her day and they were just beautiful. I will definitely be ordering any future flowers from you. Thanks again. Just wanted to say a very big thank you for the roses sent to my niece today. They are gorgeous and just right for a 17 year old A bit different and funky. And I am sure she will use the box afterwards. Great service, trouble free and fast. Thank you so much!! Its so nice to see what Boydie will recieve. I'll share this with the family. Thanks for the photo – it’s a great idea, always nice to see what the flowers look like before I get home to see them. Thank you sooooo very much. The flowers were top notch, she loved them and you guys are fantastic. Will definitely be ordering from you again. Thank you. Wow this is absolutely stunning! Many many thanks for helping us show some love to our dear friend. Thank you so much. Our Mum loves her flowers. They're beautiful. We will always use your florist for future arrangements. Thank you!!! Thank you, absolutely easy ordering online - great updates and a pic to follow of what been sent – pleasant surprise.. Really happy with the service – thank you. The flowers are exactly what I had pictured them to look like. Thank you, they look stunning. Appreciate the voucher, nice touch. Thank you for the photos they are really appreciated. I have to confess I was concerned that the arrangement will pass muster but now I am sure it will. 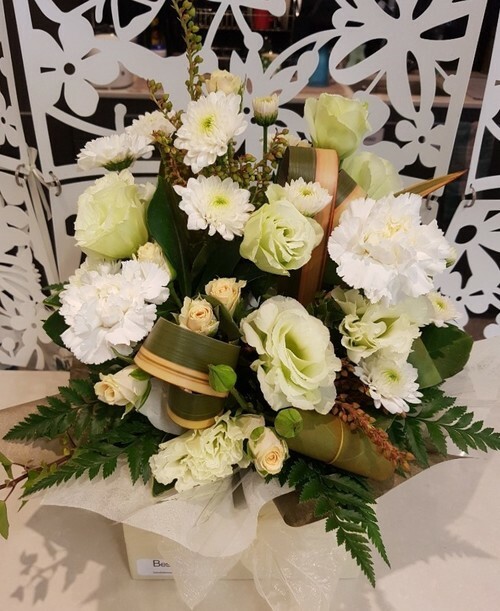 Beryl and my niece is a renowned florist coming from Australia and I know will view with much interest. I am confident your work will be admired and approved of. Thank you, it's beautiful. What amazing service, will certainly use you again. Thanks again. Thanks Jo, and the team. Beautiful. Thank you once again for sending beautiful flowers, they are amazing. 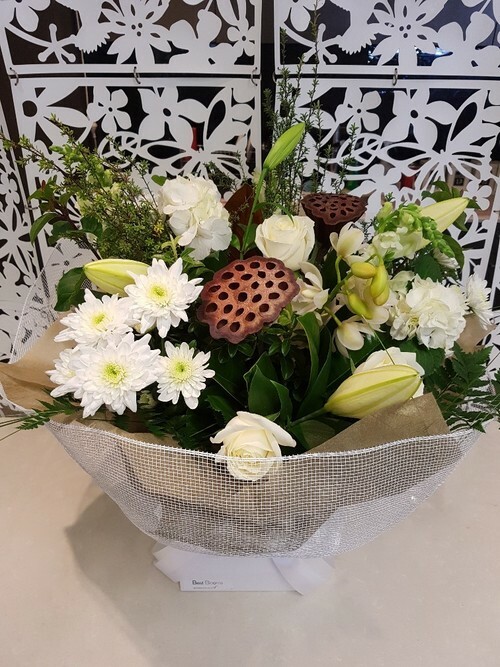 Thank you The Team at Best Blooms, the flowers have been very gratefully received. Thank you very much. She loved them! 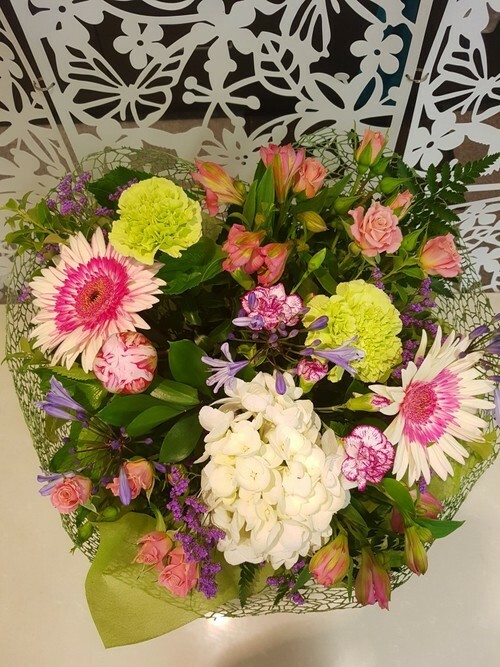 What a wonderful idea to send a photo of the flowers you are sending. Very innovative and appreciated! Thank you. Thank you so much! They are beautiful! The lady absolutely loves them! Thank you very much, it's lovely and perfect for her to know were thinking of her today. Enjoy your week. They look amazing. Thank you! Thank you once again for another beautiful arrangement. Thanks for the photo ... that is good service! Appreciated. Thank you so much they are amazing. Thank you so much - that's a stunning gift. My mum called to say thanks and she loves it. We'll share this with friends for info and we'll definitely continue to use your great service. Thank You Phil. Flowers look amazingly beautiful. Thank you very much for the lovely flower arrangement! My mum is very happy with it. You always do a beautiful job! Thank you sooo much… they are beautiful. What a fantastic thing to do. Thank you for the photos - such a brilliant idea. She loved the chrysanthemum. Many thanks for your great service, our friend was delighted with her gift. Thank you- I just got a message from the recipient and she loves them. Thanks for your great service. What wonderful service! I've never had photos of my flower order before! How lovely to see the actual arrangement. I'm impressed by your speedy service, and my friends were thrilled with their flowers. Thank you. Many thanks. It looks lovely and thank you for your prompt service. Thanks – They look lovely. Thank you so much - the flowers are absolutely stunning. I had a message from my sister in law to say she was delighted with them. Thank you that looks amazing. These are beautiful thank you so much. Will definitely use you again. Oh! The photo was a really special touch as it’s hard sending flowers and having no idea what arrives. The photo is beautiful. The flowers are amazing. Thanks so much. Thanks so much for quick response and the photos. The flowers look amazing. I will wait to hear from the recipient, I'm sure she will love them. Thanks also for the voucher. Thank you so much for the lovely design you sent to my daughter on the occasion of her birthday. I live in South Africa, so not being with her on her special day was very sad, but your delivery helped enormously in brightening up her day. I have used you once before (when she had an operation), and again your florist helped lighten an otherwise traumatic time. 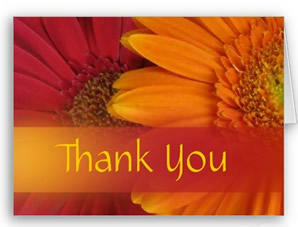 I will thank you on Facebook, so that people from afar will know that they can use your florist with confidence. Thank you once again for your wonderful service. I really do appreciate it. Thank you very much for this beautiful arrangement. You will be my #1 go to florist from here on. I’ve had to use some other florists in recent times but have not had the best outcomes. Thank you all once again. 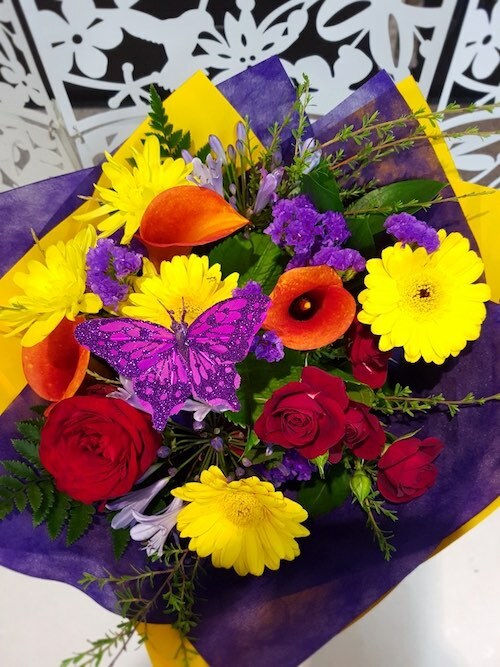 Thank you for sending the photo of the flowers. They look lovely and our daughter said they are beautiful. They were at her house when she returned from school. If I have a reason to send her flowers again I will certainly use your shop. Thank you! This is a wonderful idea sending us a picture of the arrangement. Looks perfect. Thank you for this service and photos. Very impressed. Will be using your service again in the near future. Excellent service and the flower arrangement is beautiful. I highly recommend. I really appreciate you are sending us those photos. Good job! I just want to say what fantastic service you have provided. The online order process was so easy, communication has been excellent and I really love the little final touch of sending a photo of the design. So often you don’t actually know what you’ve ended up sending so this is fantastic. Thank you for making my life so easy. I look forward to using your services again in the future. Keep up the great work. 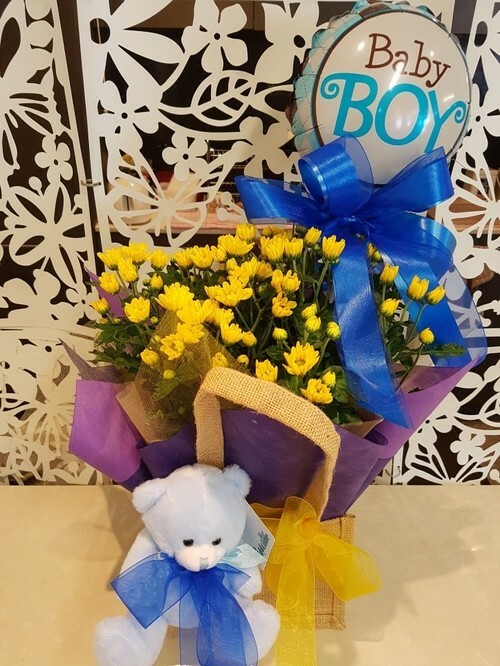 Thank you SO MUCH for making the beautiful arrangement and for delivering so quickly! I also really appreciate the $5 voucher. Thanks again guys, have an awesome afternoon! Thank you for your kind assistance, the flowers look absolutely gorgeous! That looks perfect. I know that she will love it. How lovely, thank you very much. Magnificent! It is so so beautiful! Just what I had hoped for!!!! What a wonderful service to share these images with us!!! Thank you for being so thoughtful! I am very impressed with your business and your customer service! Have a great day! Thank you again! That’s fabulous. Thank you so much! The flowers are beautiful. Many thanks for the excellent service. Beautiful, great service. Many thanks. Thank you for the excellent service including pictures and prompt delivery. My niece was very happy with the bouquet. Thank you for your excellent service. I will certainly be recommending you to friends and family. Thanks so much for the picture looks lovely really appreciate it! The flowers were received and made her day, thank you so much! Thank you so much for sharing the photos. It’s so good to see what's being delivered. 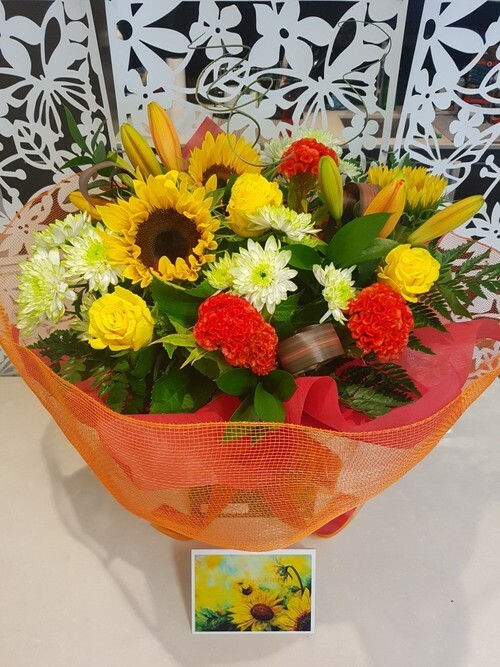 Thank you for sending the photo of the flowers, adds a very personal touch to ordering flowers. Will definitely use you again for any further purchases. Oh they look so lovely. Thanks so much. Thank you, they look just what she loves. Thank you. They look amazing. The photo is a great addition to the service which I wasn’t expecting. Will refer your services to my colleagues and will use again. Beautiful thank you ! She will cry too ! Thank you very much for your excellent service. 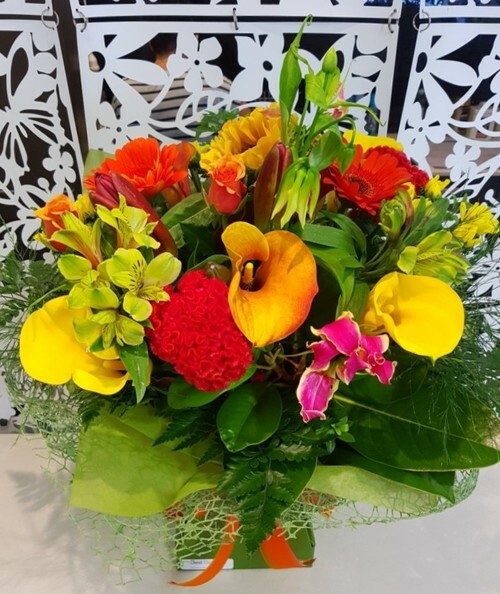 We wanted to send flowers to a sick client in Auckland - we are based in Waikato, your website was easy to navigate and we were very impressed with the follow up receipt and picture of the flowers which were sent. Really appreciate the photos of what is being delivered. Great service. Looks amazing. Thank you all so much. Many thanks for this. She was well pleased with the arrangement. 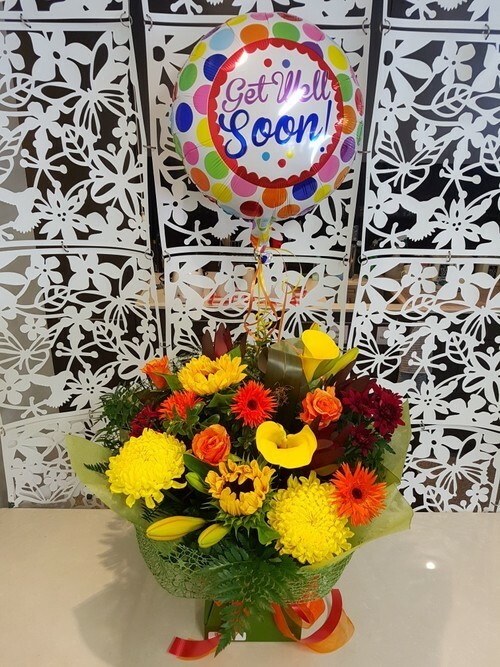 Thank you so much for sending us a picture of the flowers for our sister, being in the UK it was nice to be able see what she was getting. It is such a nice touch. I ordered before going to bed UK time, and when I got up today not only had I been sent the lovely photos, but my sister had messaged to say they had arrived. Thank you lovely team at Best Blooms- Rebekkah loved the flowers and apparently the show went very well!! Thank you - they look lovely and my mother was thrilled with them. Thanks so much for the photos and for doing such a great job with the flowers. My mother is delighted with them! Oh they look so lovely. Thank you. Thanks so much! The flowers look beautiful! Thank you so much for the beautiful flowers delivered to my daughter for her 30th birthday. 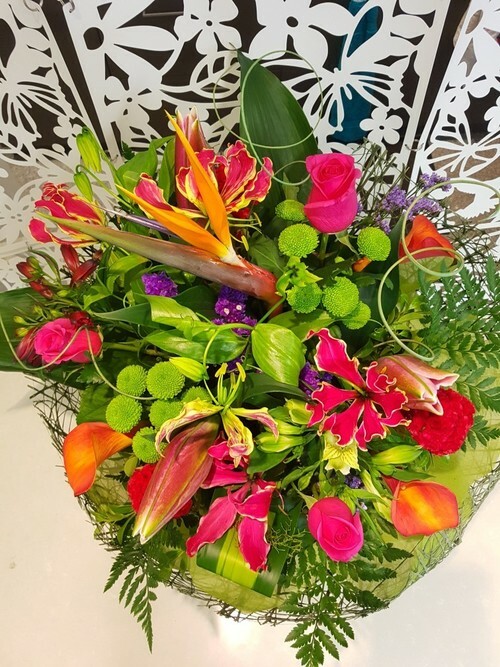 Great idea to send a pic of the flowers to the sender - wonderful!! I appreciate the service you provide. Thank you very much for sending me a photo. They look beautiful!!! It was great dealing with you. Thank you so so much for the photo - what a wonderful service to show me what Jneany was getting - a very thoughtful gesture! I will be sure to tell all my family & friends about you. Thanks again. Thank you Best Blooms for your wonderful service, yet again. I placed my order this morning and within a few hours my mother received her gift. Exceptional service & absolutely beautiful creations! I always use your service and will continue to do so. 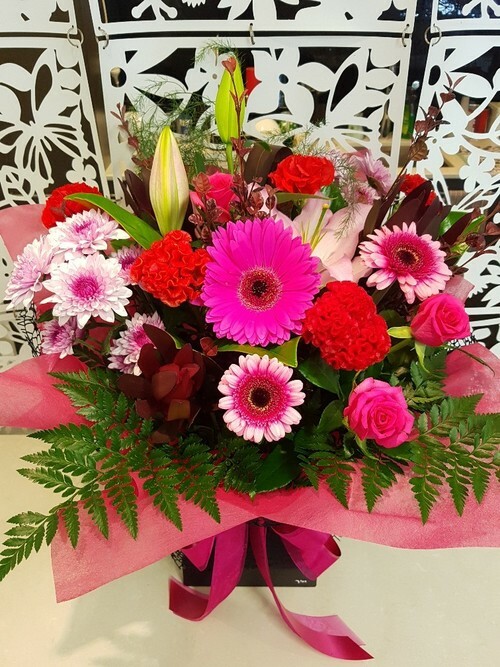 Thank you so much they look amazing, I will certainly be in touch when I need flowers sent in Auckland. The flower arrangement was just perfect... awesome service all round ... many thanks !! Thankyou so much for your excellent service! 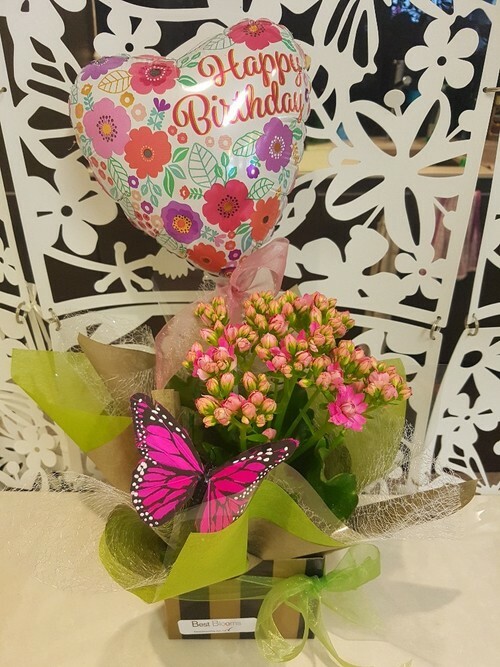 I really appreciated the photos, and can advise that my granddaughter loved the flowers, butterfly and balloon! I will definitely recommend your services to my friends and family, and will use your services next time I send flowers ! The flowers look amazing. Thanks, she loved them. Thank you so much. I'm sure she will be delighted with them and brighten her day. Wonderful friendly and professional service. We'll be sure to order again. These are just beautiful! Thank you so much, love the colours! Thanks Best Blooms Staff. That looks very nice. I was glad to have a living bunch of flowers as an option. What a nice idea to send me a photo of them too. Thanks, they are just beautiful. Thank you they look gorgeous, Marie will love them, we appreciate the great service. Thank you also for the discount voucher. 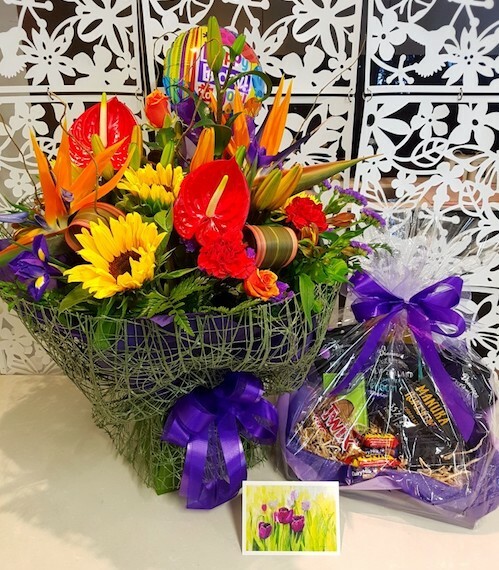 Thank you very much for the beautiful flowers - Melissa was thrilled and my little grandson very excited about the treats. 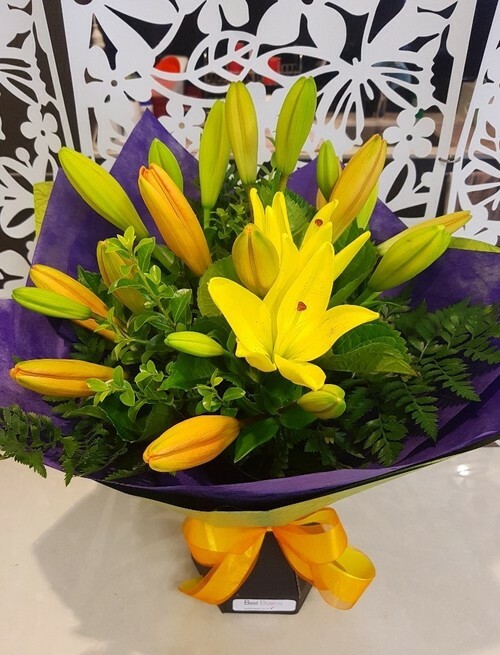 High quality blooms and service. This is perfect!!!! Wow I love the balloon!!!! Thanks heaps, she will love it. Thank you very much for sorting this out - much appreciated 😊 Really hope they love it! Have a great day! Thank you so much! These are lovely. 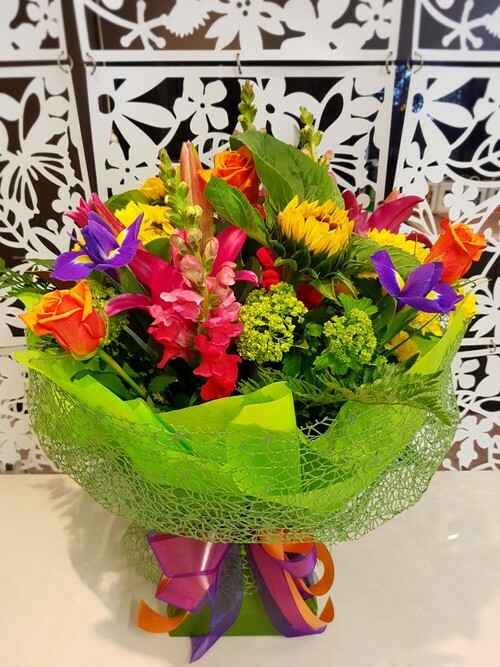 I have been disappointed with other online florist services in the past not matching what was advertised on a website – this however is a great representation of what was advertised, and I really appreciate the apricot colours you’ve incorporated. I definitely feel I got what I expected. I’m very pleased and would recommend you. Flowers are absolutely beautiful! Thank you so much. Thank you so much for sending the photo through, much appreciated. Omg I love it so much! I can’t thank you enough! It looks beautiful. Thank you again Best Blooms Team. 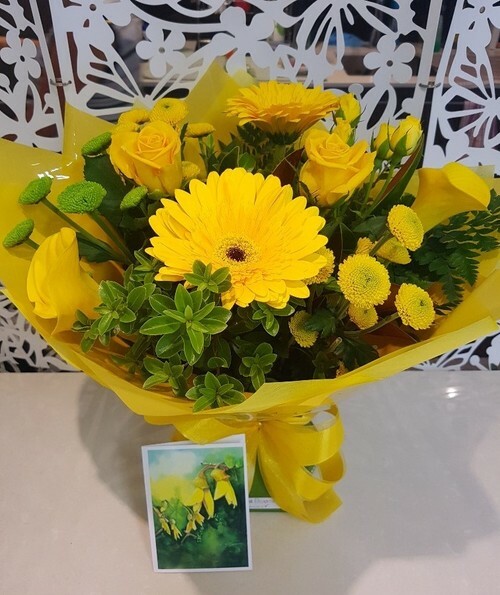 Thanks so much for the picture of the flowers that were sent to Phil and Scott, they look amazing and Phil texted us all on Saturday afternoon to say they were gorgeous. I'll be in touch again next time we need some flowers. Wow thank you so much. Looks amazing and thank you for your quick service/efficiency and same day delivery option. Will def come through your co again. 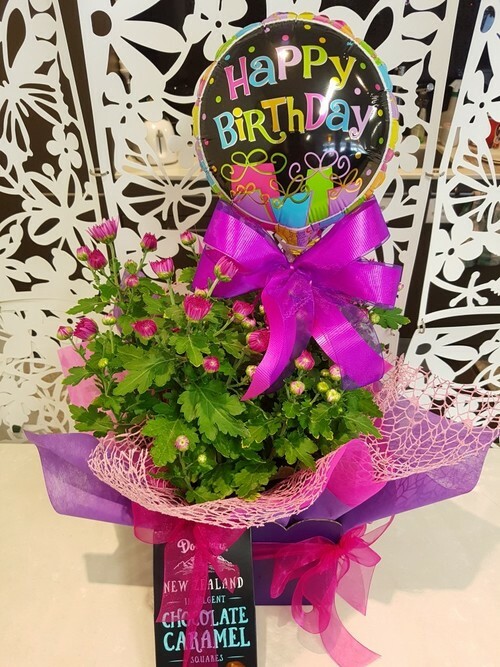 THANK YOU so very much for the beautiful plant delivered on time for my friends birthday. The pictures are lovely and thank you for sending them to me 😊. My friend was delighted with the plant and chocolate, the gift wrapping was gorgeous too. I would definitely recommend and use again. What a lovely idea to send photos! Thank you, it means a lot to our team. They are beautiful!! Thanks again. Thank you so much, Allison messaged me and she loves them. Thank you so much !!! It was so beautiful!! Thanks for the photos. Mum was very pleasantly surprised, and absolutely loves them. I just wanted to write this email to say what amazing service you provide. I have always been a loyal customer as the quality and the professionalism in your work is amazing. Thank you so much. They look amazing. Thank you, they look lovely! What an awesome service you offer. Being able to see the arrangement is great. Wow, thank you. Such a wonderful added bonus. Will certainly post some feedback. Thank you. Thank you for sharing the lovely photos of the flowers. My wife has received it and she said it's enormous, beautiful and a very lovely surprise. She is so happy and it surely brightens her day, an icing to today's special day. Thank you so much. I have been using you guys since 2016 for all my orders and you have always been fantastic and catered to special requests by me. Such a great idea to share with the sender on how the final product looks!! Love it!! Jo, Phil and all the Team at Best Blooms - you guys are blooming!! 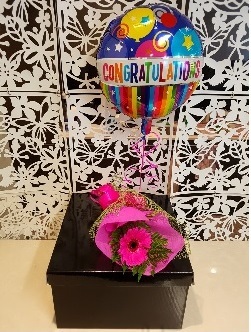 Thank you very much for sending the photo of the arrangement. They look lovely and I’m sure Ailsa will enjoy and appreciate them. They will certainly brighten her room at St Margaret’s. THANK YOU so much for sending me photos. I really appreciate it. The flowers look gorgeous! Awesome service! Thank you so much, they are very beautiful. Thank you so much - they are beautiful as always. Thank you kindly – it looks lovely! Thank you they are absolutely gorgeous. Thanks for your email and the photos. The recipient was very happy with this and it put a smile of their face. Really appreciate your service. Will leave feedback on face book and Instagram. Appreciate and can't be thankful enough. Thank you so much, they look amazing! Thankyou so much for taking the time to send me this email with the photos of the arrangement. 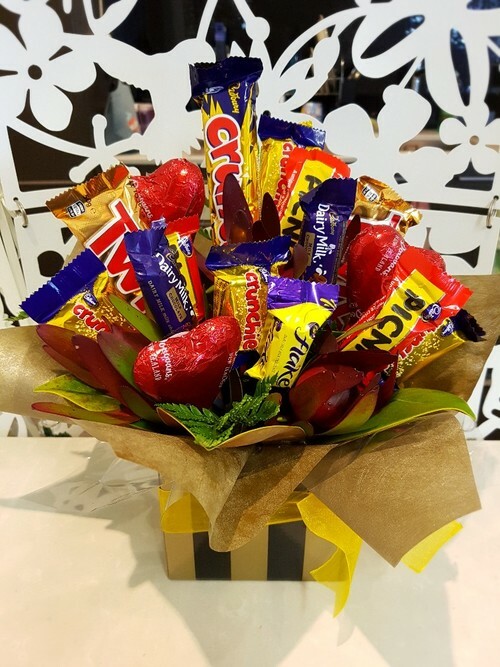 It is fabulous and Mum will love this bouquet. Many thanks. It is perfect and should bring Robin a great deal of joy on her 80th birthday. 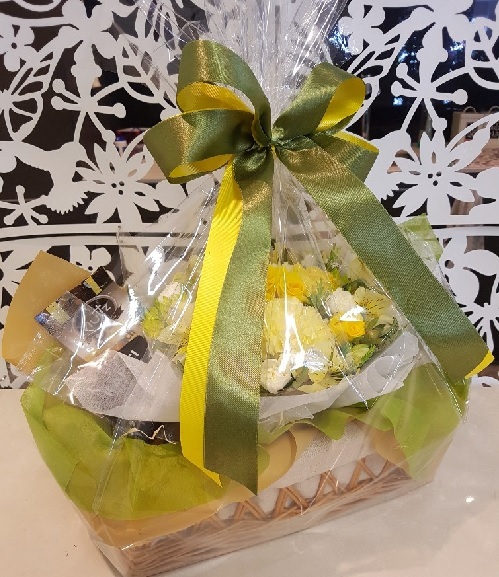 Thank you so much for the lovely gift presentation. Everything surpassed my expectations. We were just busy with a video call when the delivery was done, the timing was perfect! Wow - amazing colours and arrangement. Thank you!! Thank you so much - they look great and he will love them! Thank you so much for the awesome service, and the beautiful wreath. 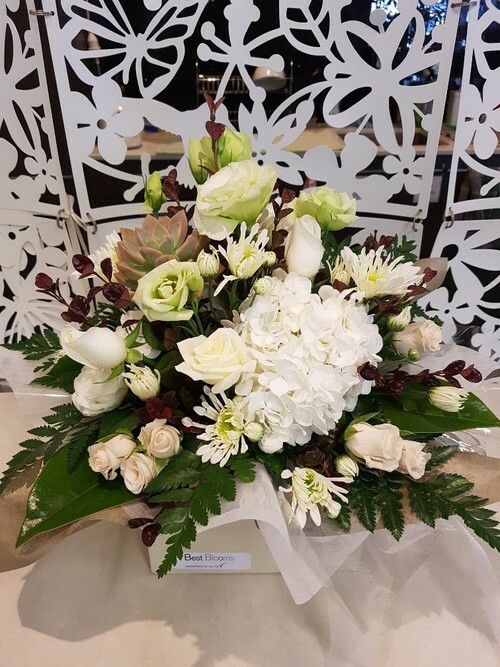 I booked from Australia for a friend's mum who passed, and I'm so amazed at how it turned out, they're BEAUTIFUL and made me teary!!!! Everyone loved them. Thank you so much for meeting our urgency. I'll be ordering from you always. Oh yay thank you so so much. Amazing Service and sending through a photo (as I always wonder how it looks and hate to ask for the person I'm sending it to to send a pic) is such great service. I am impressed and will be sure to let all my friends know!!! Thank you, I am most impressed with your service and seeing a photo of the flowers is so great. Looks beautiful! Thanks team, much appreciated. Thank you so much to the Team 😊❤️ I love them and my partner and family loved them too. Thank you. That was lovely to see what the flowers looked like. Our friend loved the bright colours. Thank you so much, they’re gorgeous! Thank you so much - the flowers are beautiful. 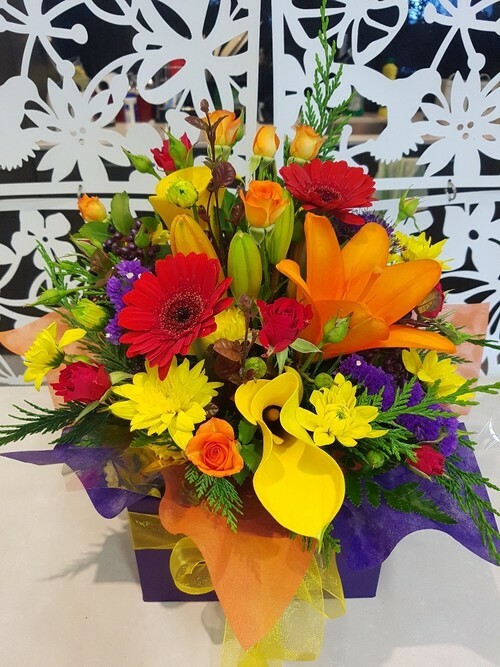 We have been most impressed with your service, and are glad we found your florist online in the Glen Eden vicinity. Wow that is awesome - appreciate the photo!!! Thank you very much, they are so beautiful! Thank you so very much for the excellent service, much appreciated from the White North - Canada. The follow up on our order warms the cockles of the heart. Thank you so much! My wife loved it, you should be proud of running a very efficient, caring service! Oh, my goodness, I knew you would produce something awesome. Thank you! I hope she loves them. Thank you so much for easy ordering and prompt delivery Also for photo of the flowers! Beautiful and does bring joy to my heart too! Those are gorgeous, thank you for the photo. Thank you they are beautiful. Just a short note to thank you very much for exceptional service which I do appreciate. Have never had such service from a florist before and will certainly use you in the near future. Thank you for the lovely photos and discount voucher, it's much appreciated. Not an enquiry but a massive thank you for such a lovely bouquet of flowers delivered to me personally. The flowers fresh and a credit to New Zealand florists. Thank you. Thank you, the wrapping with the red looks beautiful.... I am sure my daughter will love it.. I will place my next one for the 10th which is the official opening night. I’ll browse through catalogue. I always support local businesses!! Best flower ever! The recipient absolutely loved it! Will order more in the future for sure! Thank you! Ohhh thank you so much - they're just perfect!!! Looks just perfect, thanks so much 😊 wonderful service. This is so lovely, I really appreciate you taking the time to send this to us. I will forward the pic on to our other 8 staff so they can all see what a wonderful arrangement you have made. Thanks again for another beautiful arrangement. Wow - this is fantastic follow up, I'm impressed. I was just wondering if Sally had got the flowers when this message came through yesterday, and it covers all the bases - what I chose, what did it look like, where it was going (had I put the right address), and the photo's of it were superb. It made me confident that everything was going to plan, and took the anxiety away. Thank you so much - Sally loved the flowers. Oh my goodness ... thank you so much team. 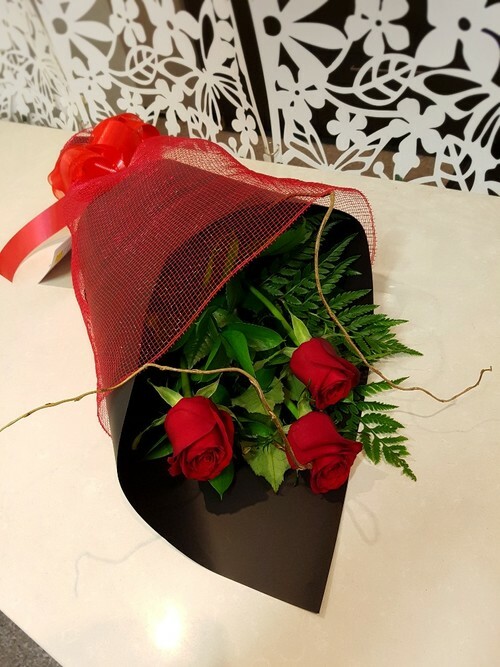 Your flowers and arrangement have taken my breath away with the flower choices and your beautiful artistry – and the flowers are so lovely, You have interpreted my few clumsy words perfectly. I know that Margaret and her family will be thrilled to receive this beautiful surprise. 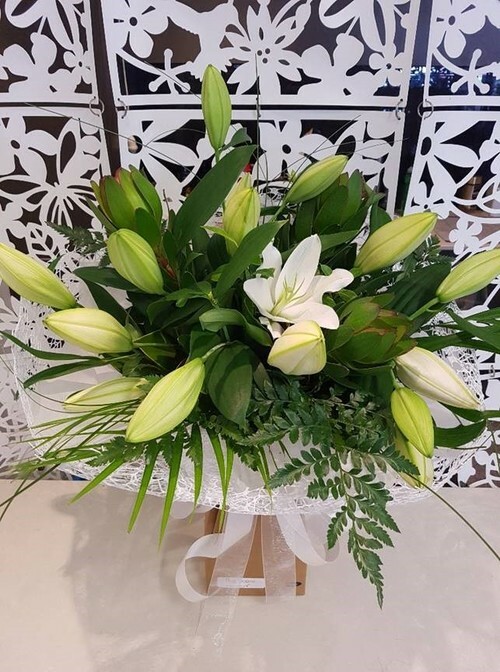 PS Margaret’s parents were one of the early commercial flower growers in NZ (specialising in carnations) and her sister continued the skill and care of commercial flower growing (specialising in lilies) until her retirement in recent years. They will know and appreciate the flowers for not just their beauty but have a professional eye too from a grower’s perspective. Thank you so much for sending me a photo. It looked lovely. Your service was friendly and prompt. You cannot ask for more than that. The recipients thought it was lovely. This looks amazing, thank you very much. Thank you very much for the voucher and the photos are very much appreciated! That is the nicest thing...you sending me pictures. Thank you. He sent me a lovely email thanking me for the beautiful flowers. They arrived so quickly! I appreciate you. Those flowers are stunning! I was hoping for something unique. Thanks for sending the photos - it looks lovely and I appreciate you showing me the final product! Thank you so much for the photos and delivering them so quickly. My daughter is really pleased with the arrangement! They are lovely. Thank you so much! Thank you so much – what wonderful service you have provided at this very difficult time for us all. 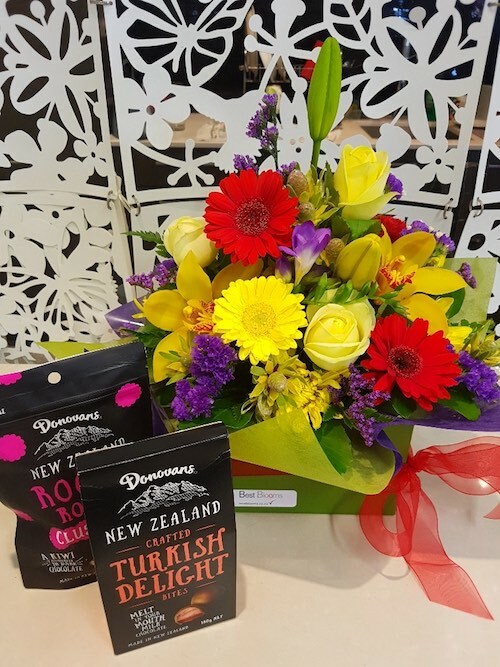 The flowers look beautiful and we are able to share this photo with my brothers who are located throughout NZ and Australia. Flower arrangement looked lovely and my mum Mary was thrilled to receive it. Thank you so much for the picture.. What a WONDERFUL customer service !! 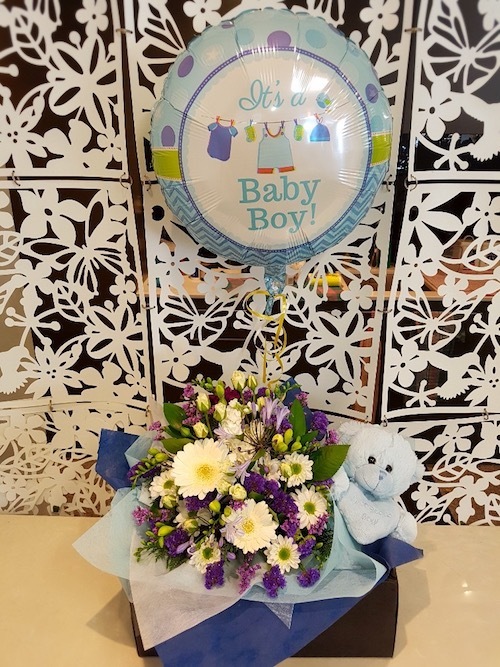 Thank you so much for the photos of the beautiful bouquet you provided for my son and his fiancée. The colours were perfect and they were really thrilled to get it. I was also pleased with the ease of making the order. I will certainly use your services again when the time arises. Thank you for sending photos. This is a special touch that I was not expecting. Being in Australia and seeing the photos of what you have made up for me is a brilliant idea. Thanks Best Blossoms team for the pics and quick delivery. The recipients were very appreciative of the flowers. They loved quotes from the quote book too. Some of it will be used at the funeral. Absolutely beautiful. 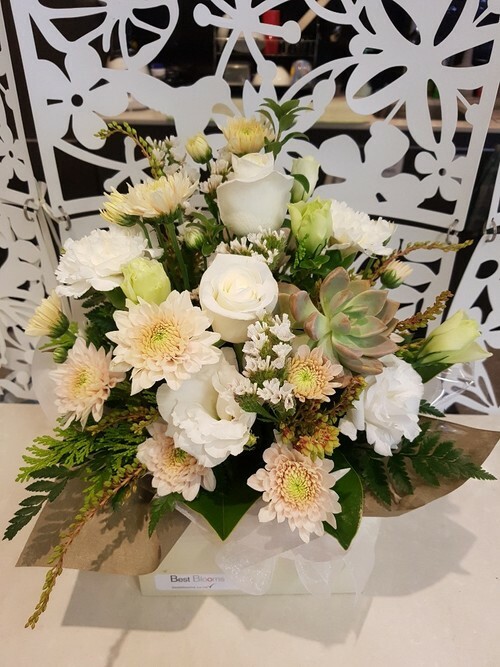 This is just the second time I have engaged Best Blooms for special-occasion flowers (I live most of the time in Melbourne) and the service has been impeccable in every respect. Wouldn’t go anywhere else. Thank you so much for the photo. What a lovely idea as you often miss seeing what you send!! Somebody has made a beautiful job of the flowers - they look fabulous! Thank you very much, looks awesome! Thank you so much!! The arrangement is so so lovely!! I am sure my Mother-in-Law will love it!! Thank you so much. Those flowers look beautiful. Thank you so much, love it!! Thanks so much. Your on- line service is excellent. The website is easy to follow and I love your communications and especially photos of the beautiful floral arrangement you made. I love it. To see what it looks like is just fabulous. Thank you so much, the arrangement looks stunning! I know she’ll love them so much, they’re beautiful. 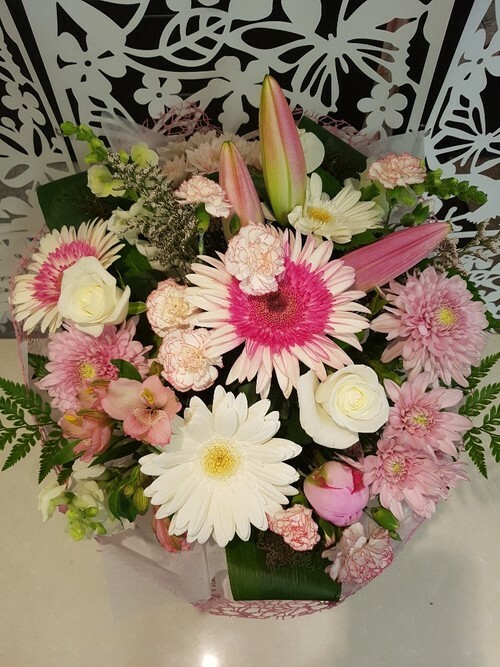 Thank you so much for sending these through to me, as I can now forward your email to my sister in Australia so she can see what we have sent to Mum…..it’s her 90th birthday today. 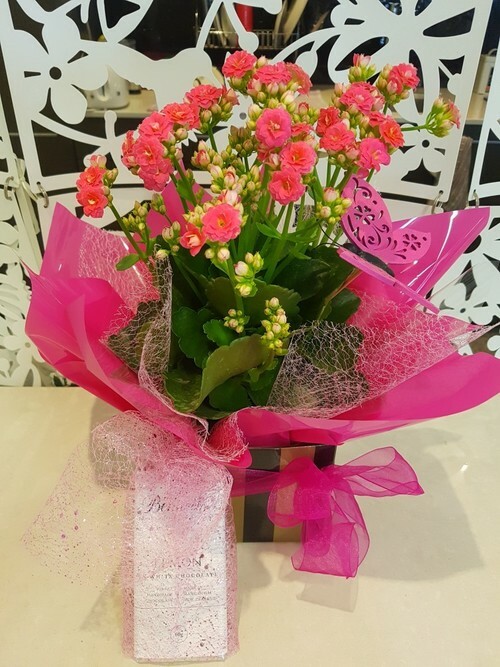 My sister usually orders flowers for Mothers Day etc through you, so we are both customers. I will be visiting her tonight, so will be about to see them in the ‘flesh’ so to speak. I’m a very happy customer. Thanks very much for getting this out so quickly they look great! It would definitely put a smile on the face of the person receiving the bouquet. My daughter was thrilled with the peonies you sent her, they are beautiful and the whole process was seamless. Wow - I think you did a lovely job! I’m very pleased, thank you. Thank you so much, you are always a pleasure to do business with, and never disappoint. 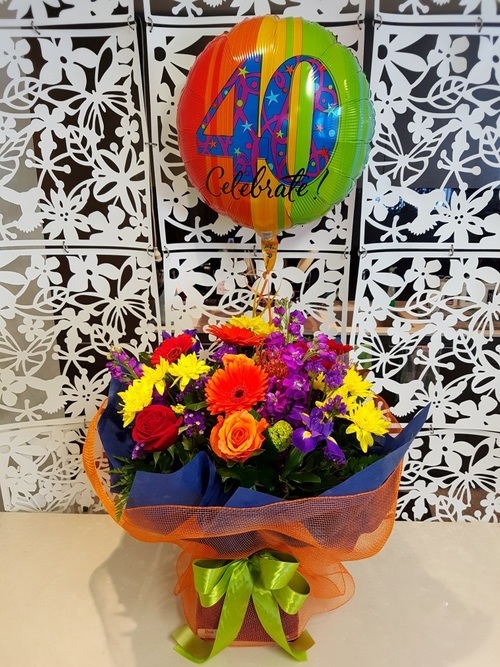 Thank you for the photo of flowers - it was a nice surprise to receive, and very impressed with your service. I’ve used your company several times now over the years and you never disappoint, so thank you so much!! Love the flowers, love your work!! Thank you so very much for making this purchase so easy. Also it was fantastic seeing a photo of what I ordered. My daughter loved them and I will certainly use you again. First of all let me say the flowers look incredible and I think Nicky will absolutely love them! Secondly, the new service of sending customers photos of their order before they are sent is a stroke of genius, a small detail that goes a long way. I highly recommend you make it a permanent service for your customers. 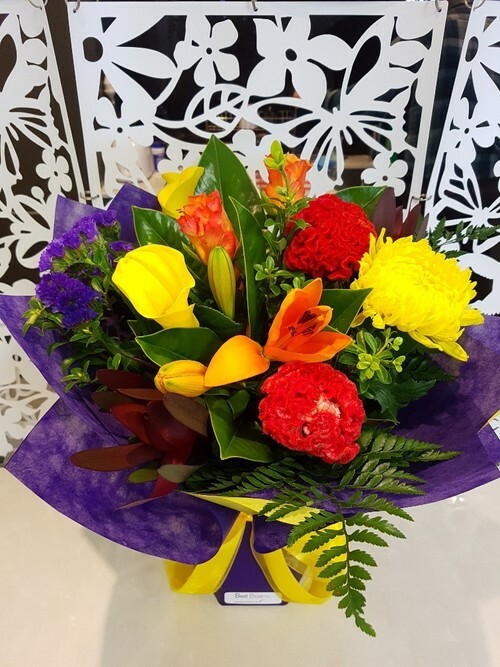 Being completely honest I came across your website when googling flower deliveries for Auckland and I can honestly say I am incredibly happy I found your store. You are now my go to store for any flower deliveries! Keep up the great work and thanks for the great service / experience. 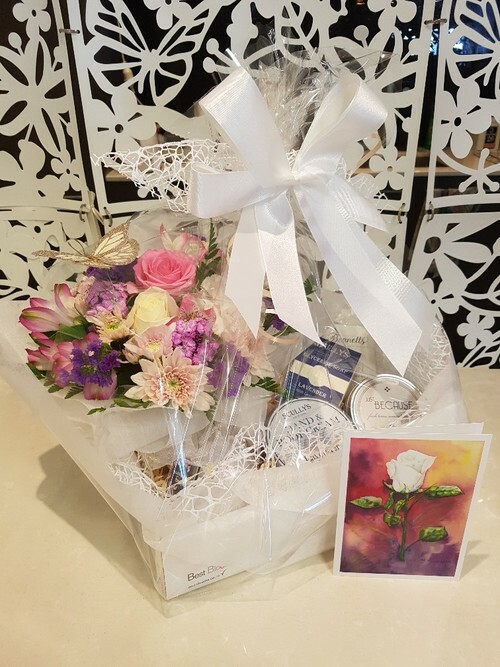 Thank you for the lovely bouquet and the gift set design, looks lovely! Very pleased with the service, super fast and also handy while I’m overseas also. Love it thank u so much. Beautiful Flowers. I’m very pleased. Thank you so so much they looked beautiful!! Also thanks so much for your prompt service!! Will definitely be using you again and recommending you to friends and family!! Oh my gosh!! It is beautiful and perfect!! Just rapt with what you have done. Aimee-Jo is going to love it. Thank you sooo much for your help and kindness when I phoned yesterday. You managed to take away my stress and made it easy for me. Thank-you very much for sending me a couple of photos of the flowers you have done for my daughter Kerri. They are beautiful flowers. Thank you for your excellent service! Thank you they're lovely. Love the Paua Shell! Thank you so much for sending the photo. The flowers are just amazing and I am very pleased with the colours you have chosen. Thank you so much for sending a picture of what it looks like. We have a sick kiddie from our preschool and her mum said she loved unwrapping it. Thanks we will definitely recommend your service. OMG, that is amazing. I love it, thanks so much. I sure hope she is home herself to receive it!! Thanks very much for your great service. Jane loved the flowers! 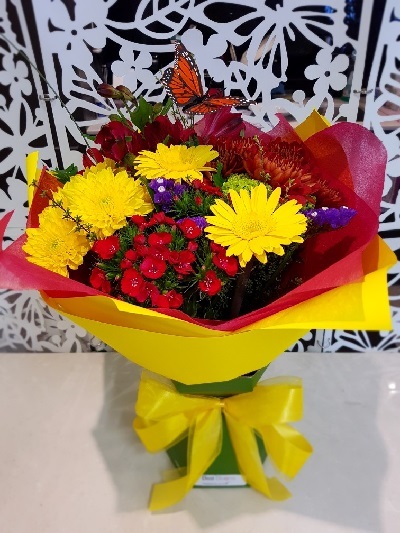 We wanted the Banksia/Protea style flowers and long-lasting, so perfect. Thank you for the photos. What a wonderful idea. You have been awesome to deal with and I will shop with you again. Thank you so much for the updates and these lovely photos. Everything looks awesome. Wow! Thank you so much for sharing the picture of the gift with me. How very thoughtful. I'm sure he will love it! Wonderful service thank you again. Thank you so much guys! 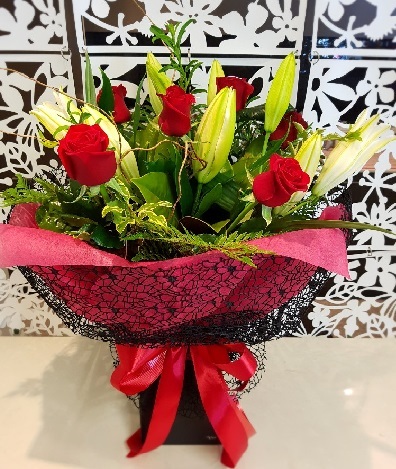 We will definitely be returning the next time we wish to send flowers, you are a pleasure to deal with. Thank you so much. The gift looks beautiful. I will surely recommend to my NZL friends and families here in Australia. 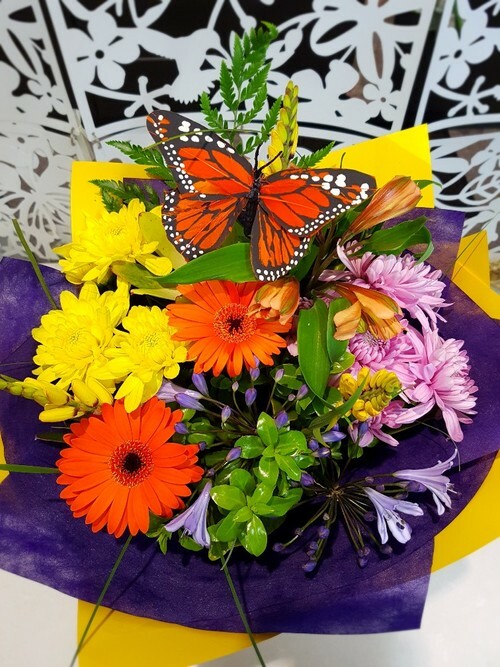 Thank you – they’re beautiful! Wonderful thank you very much. They look great. Thank you very much. Loved the arrangement of roses. Thank you once again for making this day even more special. Thanks guys! This looks amazing and I know she will love it! 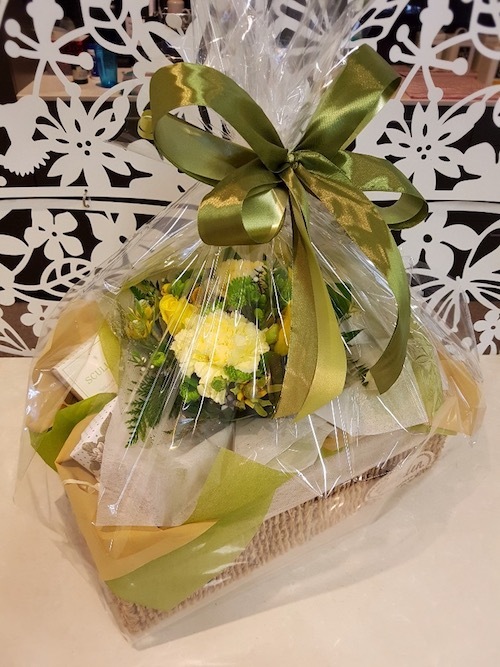 I’ve put a review on Google for you, your service really is outstanding and I wouldn’t use anyone else in Auckland for these special gifts. The flowers look amazing - thank you so much. Thank you for your Excellent Prompt service. Mum is thrilled with them & they look great too. Thank you so very much for sending the photo. That is a lovely idea , and I really appreciate it ! Very best wishes to you . Thank you very much for sending a photo of the orchids. They were very happily received. I do appreciate the detail you go to in ensuring the purchaser is happy with the order. I am glad to hear you are a family concern, and shall be in touch again as we have family in Auckland. Thanks heaps, she absolutely loves them. Mum also said she liked the variety of flowers so that was really nice too. Just wanted to tell you, flowers were delivered yesterday and I didn't know but my hubby was off site at another location all day. The receptionist took them to my hubby's desk and put them in a vase and of course he was the talk of the office all day without him knowing. Turned up to the office today to the roses and he sent me a stunning picture of them. Just wanted to say thank you so much for the flowers, they are beautiful, even more beautiful than the pic you sent me. I always come to you for special flowers and you never never disappoint me. Thank you for the email and photos! They are stunning flowers!!! She will love them!!!! Thank you so much! And thank you for being so easy to work with. It was the easiest process using your website. I was a bit worried trying to do if from South Korea but it was very straightforward and the service has been fantastic! Looks gorgeous – she will love it! What a lovely service you supply. I will be recommending you to all. Thank you so much, it’s beautiful and amazing touch by sending the photo in advance. Well thought out! We’ll keep ordering flowers from you. Thank you very much for your wonderful service! 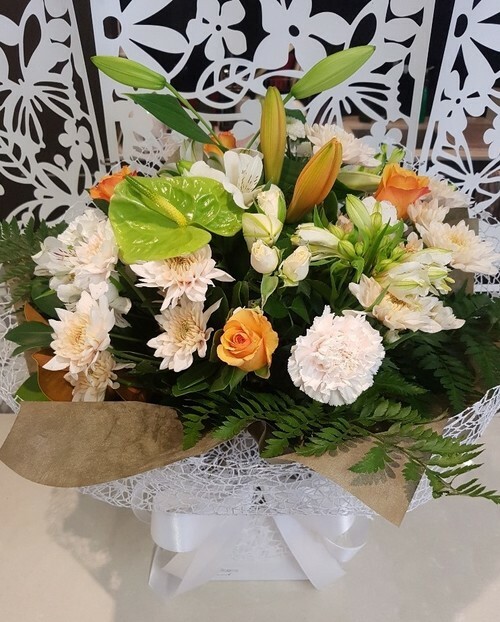 The flowers look lovely (I also received a photo from the recipient) and I will definitely not hesitate to make use of your services again in future. Great service and follow up. What a nice idea to send photos to us. 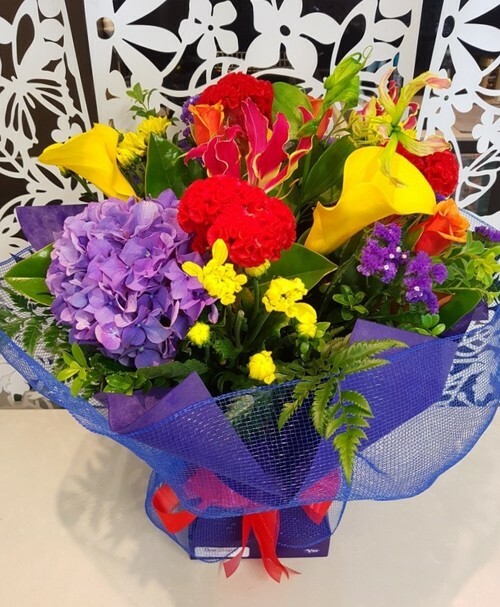 If we need flowers again in Auckland, we would definitely use you again, and happy to refer you also. Thank you so much for the wreath which was very beautiful. The family text me and said they arrived at 5.30pm which was much to their surprise, being same day delivery. Thank you once again for your exceptional service. I will definitely recommend your services to all my friends and colleagues. Thank for sending these pictures over of the wreath. They're lovely. Thanks for the Excellent service. My Grandma was over the moon with her gift! Beautiful!!! Thank you so much for showing me!! I love them and I know she will too! 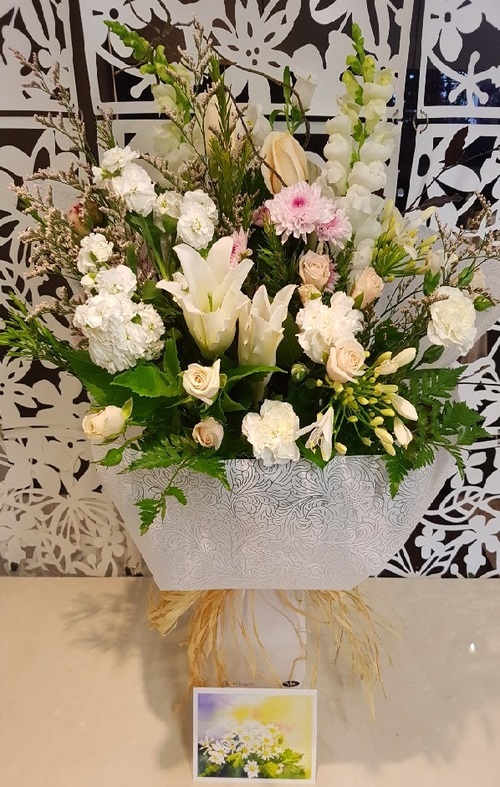 Thank you so much for the lovely arrangement you did for my very close friend in New Zealand today. 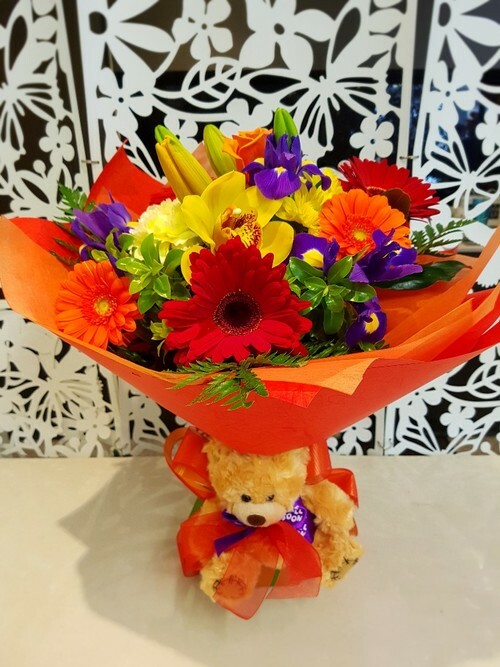 I have used your services about 3 or 4 times now and I feel very comfortable ordering the flowers from Australia and I know what you will deliver will be gorgeous 😍!!.. and thank you so much for the photo you sent me of the flowers and Teddy that you were delivering. Excellent customer service and I will highly recommend you to my friends in both Aussie and New Zealand !! Thank you !! The flowers are absolutely beautiful and we have a very happy Kathryn !! Thanks guys, and thanks for double checking the address! Will be sure to use your excellent product and service again. The recipient loved the flowers. What a wonderful idea to send a photo so that I can see the flowers. Just beautiful. Thank you so much, this is really thoughtful. 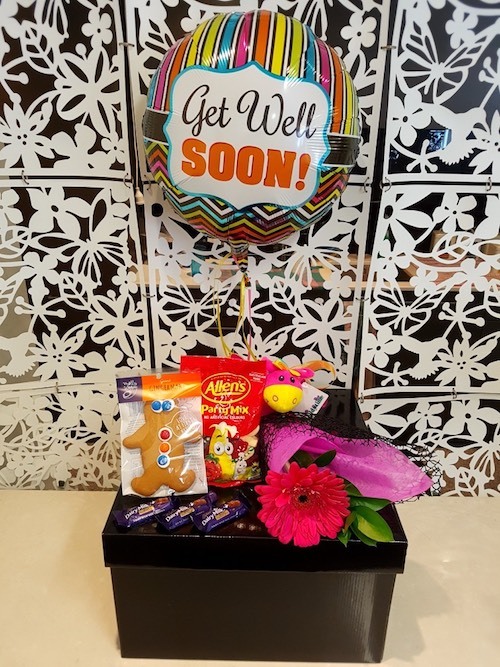 Thank you so much for the photo of this lovely arrangement! Impecible service, I was not expecting a photo of the finished product at all but am overjoyed with the service provided. Thank you for doing this up so quickly and being able to deliver the same day, it is very comforting at this time to know we can rely on your service. Thank you so much for the wonderful flowers, my niece loved them, and they looked beautiful. How wonderful of you to send an email picture to me too. What a fantastic idea. It's very difficult when we live many miles away, but we will definitely use you again and will share with family and friends . Thank you very much. I have also left a glowing Facebook review for you. It was so nice to get a photo of the arrangement prior to being sent. 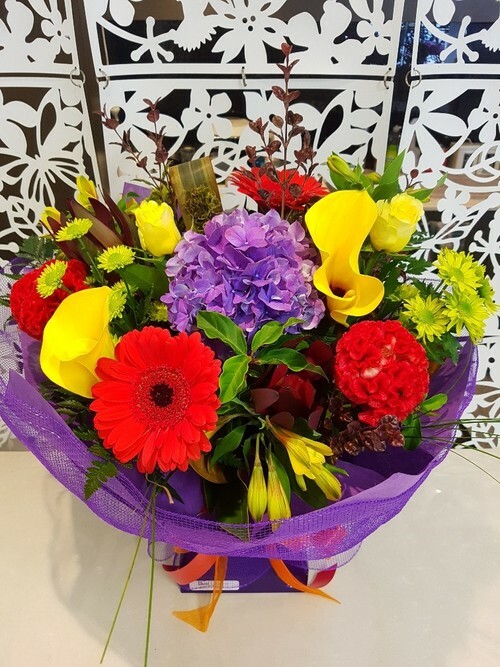 If I need to send flowers in Auckland you will be my first choice. Geez you guys are bloody awesome! Gorgeous! Thank you SO MUCH! 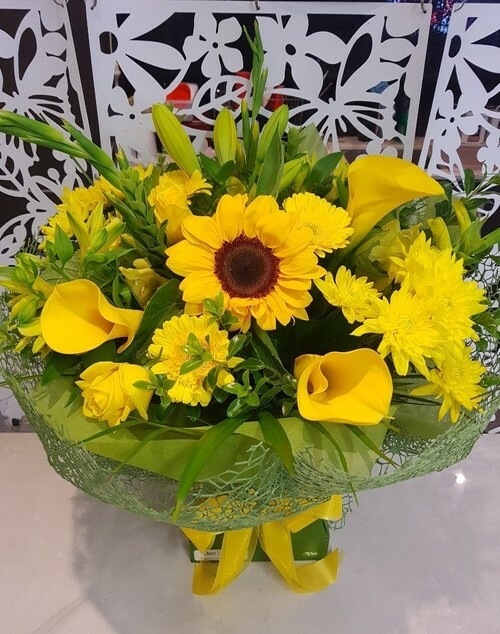 Will definitely recommend and reuse you when needed for another flower delivery – amazing service! Thank you for the photos, they look stunning. Big and Beautiful Arrangement. The flowers are absolutely stunning and my friend loved them! 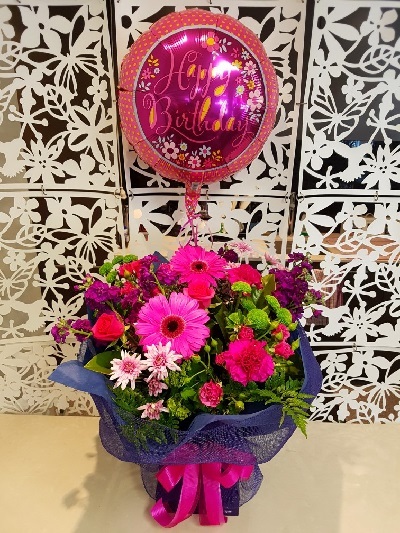 Thank you so much for creating such a beautiful bouquet for her birthday. I would like to thank you all for getting this arrangement done and sent to my sister. I love the flower arrangement, on the plus side those are her favourite colours. Thank you once again, you all have made her day. I would definitely tell my families and friends to order with you.. 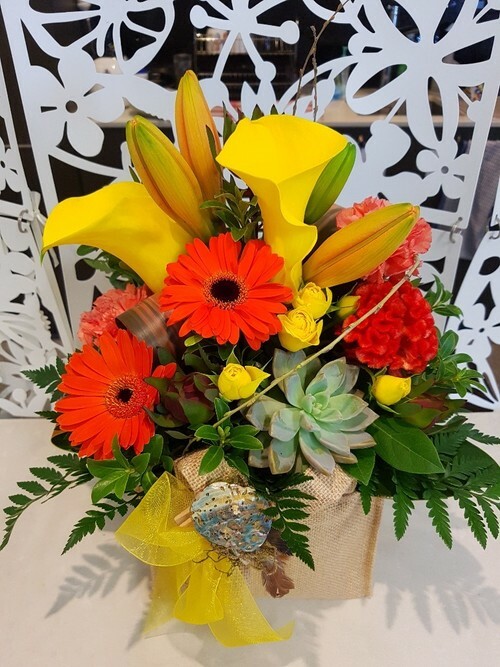 Your business was recommended to me by another college in the office who has used your service before and I am so glad I she recommended Best Blooms as this service you have provided from beginning to end has been absolutely fabulous! I had no idea I would get a sneak peak of what you have packed for Adrienne either. This is AMAZING!! I’ve forward this to my team and the whole lot of us a chuffed. Thank you so much!! You have made our Friday! Thank you for sending the photos. The flowers are gorgeous! Just what we wanted, - bright, cheerful and elegant at the same time. Mishel was very happy. So was the team in the office I shared the photos with. Thanks for the photos. The flowers look absolutely amazing. This is the first time I've been sent an email with photos and delivery confirmation. Sometimes I wonder if the flowers have ever been delivered or what the quality is if the recipient doesn't or can't contact us. I'll definitely be using your service again. Just wanted to thank you for your email and for sending me this great photo. It looks really pretty. Very happy with your service and keeping me up to date. I wil definitely carry on using you guys. We will certainly be using you again for our floral needs and not just to use the discount. You can rest assured I have communicated your excellent services to all my friends and business colleagues. Word of mouth business on social media is a powerful recommendation in today’s world and you guys certainly deserve it. Thanks for sending a photo of the beautiful bouquet you have created this morning for my sister, Katie. They're absolutely beautiful and I'm sure they will brighten her day. I've shared the photo with my family and colleagues too! 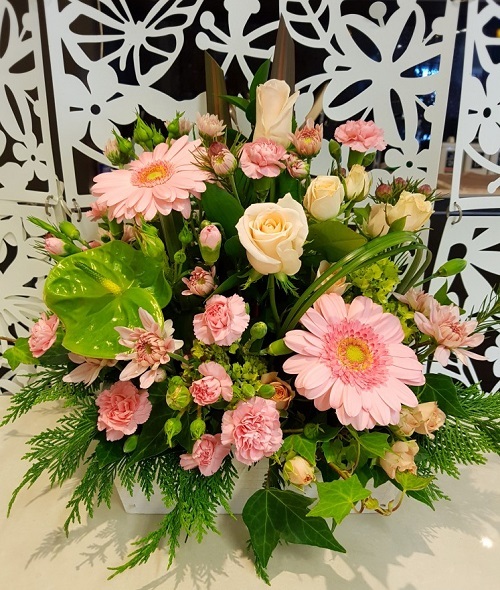 I will be glad to recommend your family business to others looking for flowers/ efficient service and deliveries in the Auckland area. 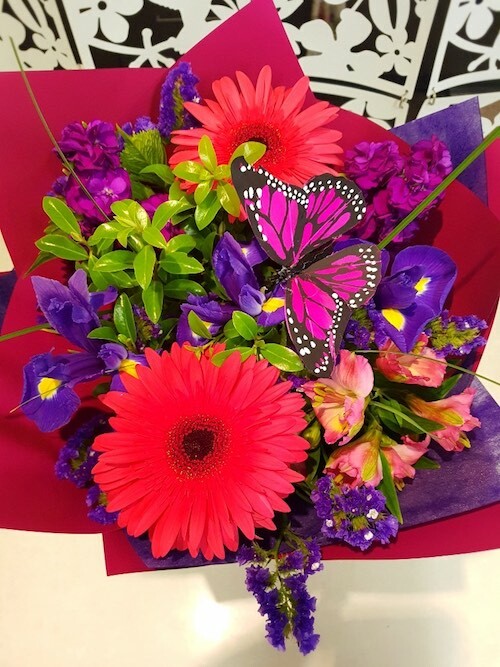 They look lovely and thanks for sending through the pic of the flowers…. Always wonder how they look and we’ll definitely use you again. Wow, beautiful. Really appreciate the communication especially taking the time to send through the final product. 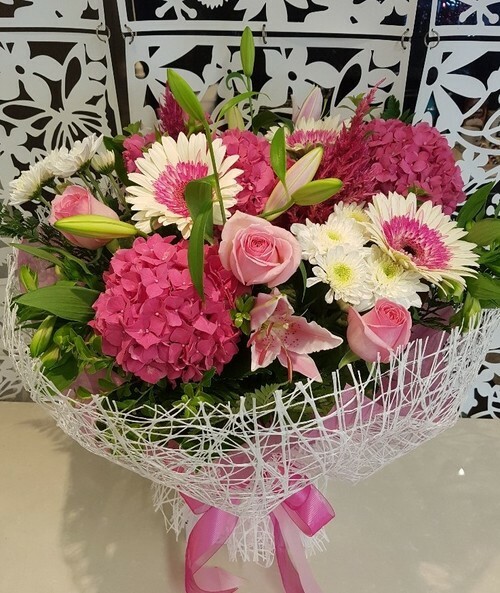 Amazing will definitely be using Best Blooms florist again in the future. 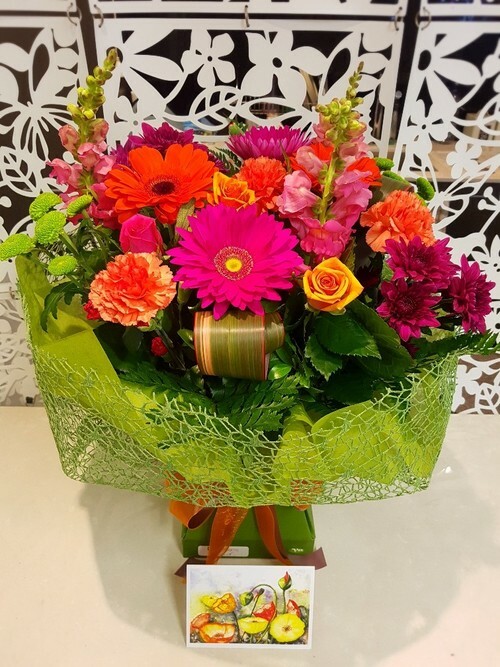 Thanks for sharing the photo the flowers look absolutely beautiful – thank you so much! As I couldn’t get to my aunt’s funeral this means a lot to me. 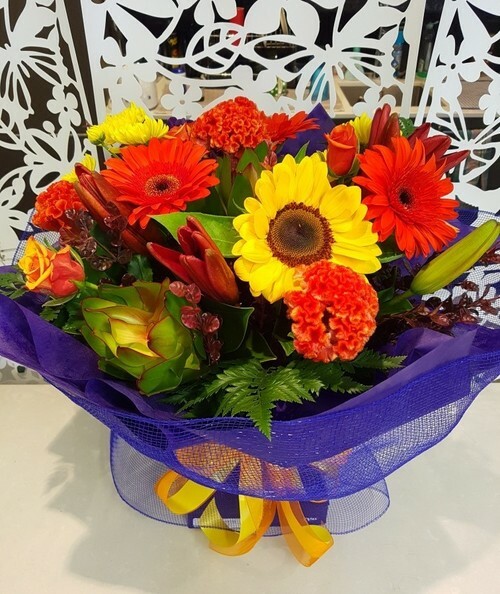 Thank you - what a fantastic service and idea to send pics of the flowers sent. :) THANK YOU JO THEY WERE ...PERFECT!!! ..once again! Will definitely be using your GREAT services again! Hi Debbie- thanks : all good and were there before midday... and she loves them!! You guys have no idea how wonderful it is to deal with such personable people!! I really enjoyed the range you offered in comparison to other places. I'm not going to be in the country for my partners birthday and using your website to find a gift made that easy for me to use, especially with the upgrade options. Thank you very much for prompt service. 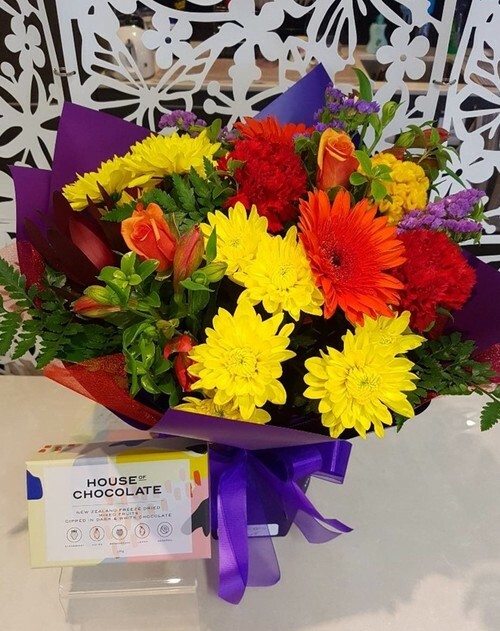 Michelle appreciated her flowers at a very sad time for her family. Thank you Debbie; Erin has received the flowers and absolutely loves them. There's nothing like getting flowers on your birthday! Thank you for keeping me in the loop as to the flowers I ordered and the payment. We visited Kim yesterday and the flowers are beautiful thank you. She loved them. I write to sincerely thank you for continually providing an excellent service. 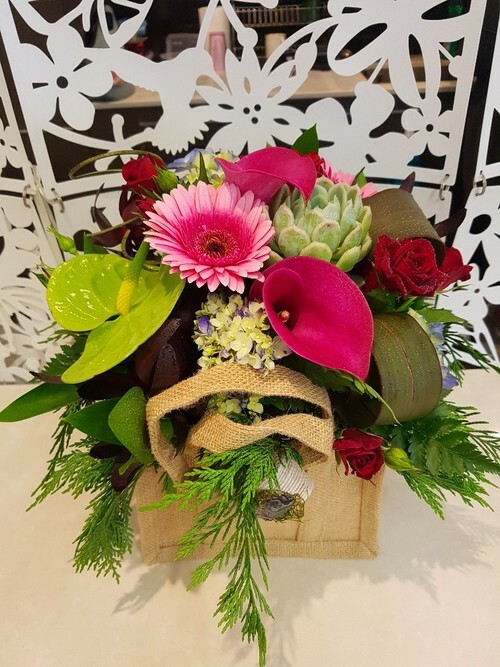 Not being based in New Zealand I have used many online flower delivery companies and have had to trust that they deliver as per the online description of goods; this has most definitely not always been the case. 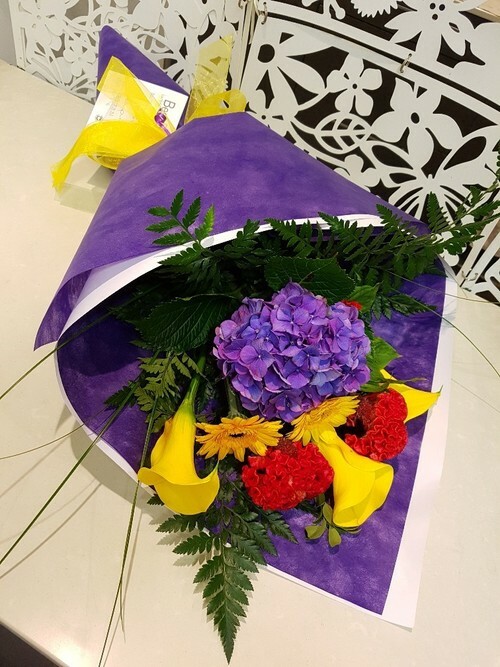 This is the first business where I am continually told by friends and family that they receive flowers that are fresh, creative and plentiful. In particular are their comments that your flowers last a lot longer than others. Add to this the fact that when I have needed to phone, my query has been met by friendly and helpful operators who have taken time to ensure every detail is correct, often going above and beyond to assist and always providing the same consistent, reliable and friendly service. Again, my sincerest thanks for your exceptional customer service, attention to detail and great range of quality products. this week. I just wanted to let you know that it was absolutely perfection. tough time from another country. The things in the basket were apparently amazing and delish. Amazing feedback from my Mother on the flowers, shes still raving about them so thank you! Thank you for the beautiful flowers that were delivered to my dear friend on Monday for her 93rd birthday. She said they were great & that they were in her favourite colours. 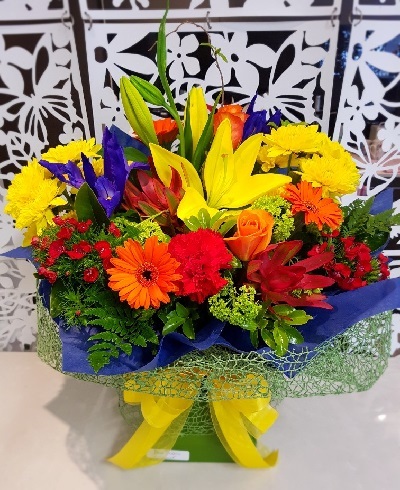 I was pleased to hear it as I know of people from overseas that had flowers delivered recently through Interflora (not from your company) & they were very disappointed. My friend who turned 93 was thrilled when they arrived from you. Just wanted to thank you for the amazing flower arrangement you delivered last Friday. This was for a very special and dear friend who appreciated all things beautiful. His family let us know that the flowers were just beautiful and they commented that Don would have loved them. Just wanted to thank your staff & special mention to Phil who helped me locate my get well gift over the phone. I'm Perth based but was actually working in the remote outback at the time lol & Phil's fantastic customer service put me at ease! The amazing reviews about your company are 100% correct. My nephew in hospital absolutely loved his gift basket. To Phil and the best bloom staff.. a huge thank you! Will definitely be using your company again. 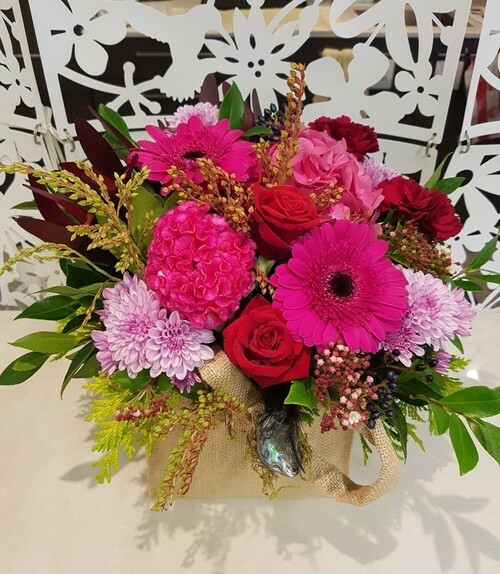 Hi Just want to thank you for the beautiful flowers that were delivered as per my order below. It is some three weeks since they were delivered and they only now unfortunately have to be thrown out after having looked stunning for this long! Many wonderful comments were made about them and they were much appreciated by the family. Many thanks again and I certainly look forward to using you again. 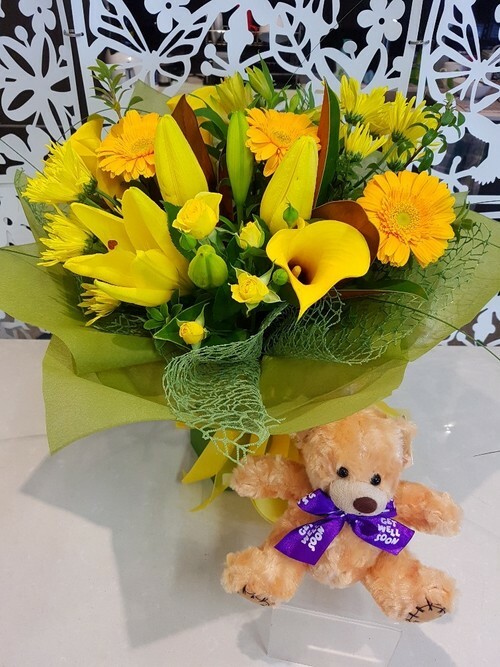 Thank you for the flower delivery of order #9589. 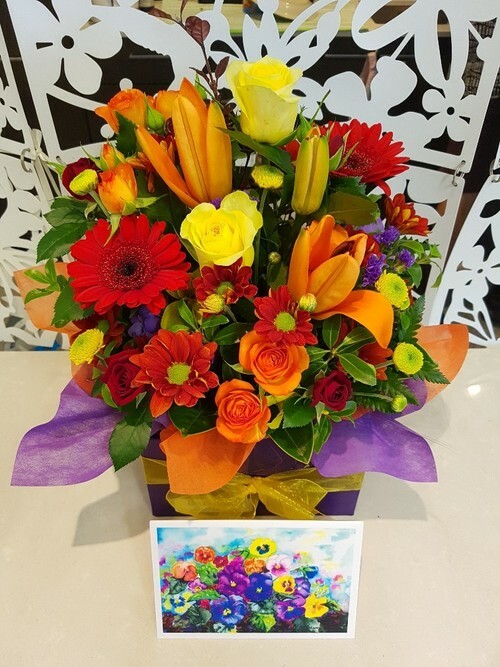 The recipient really appreciated the colours and design - it really hit the spot! Excellent customer service and follow up. Best I've seen. I want to thank you so much for the wonderful service you gave. 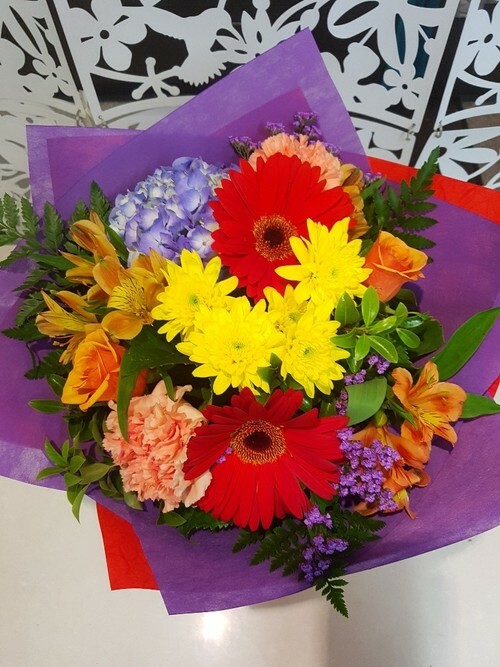 I contacted you on the internet from the USA to order flowers for my friend's birthday in Auckland. There was a problem with delivery and when I called to enquire, you not only made the delivery on time, it was even better than I had asked for. You are Wonderful - thank you so much! Thank you very much for delivering a beautiful Phalaenopsis for my grandparent�s anniversary on Thursday. 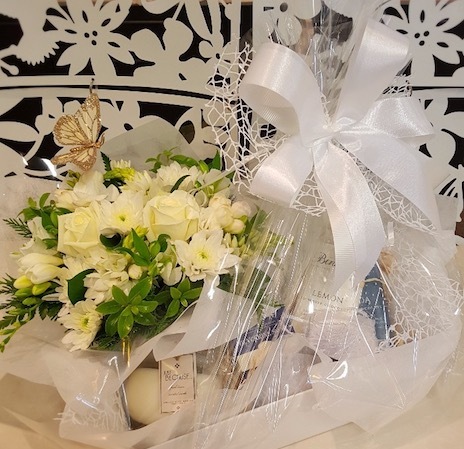 They were over the moon with their morning surprise delivery, a perfect way to start their special day. I was impressed with not only how easy it is to order online but also how efficient and quick delivery was. Thank you so much!